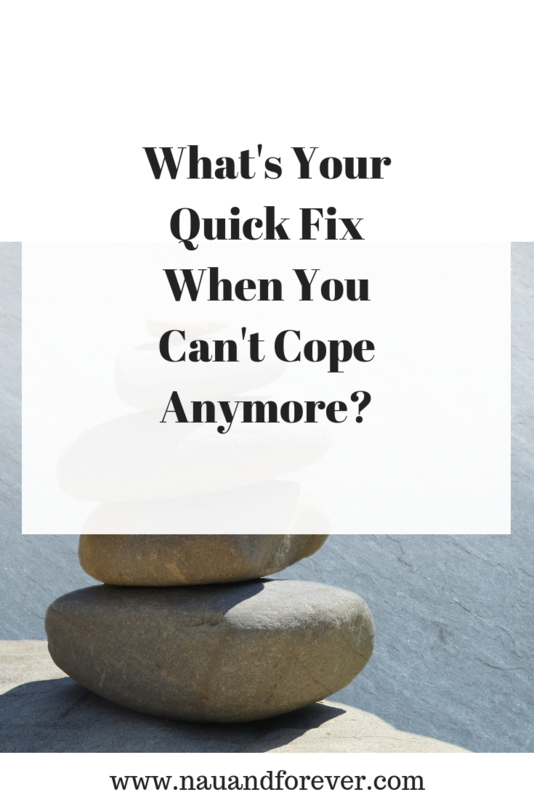 What’s Your Quick Fix When You Can’t Cope Anymore? Is life too much? Whether it’s stress in the workplace or whether you’re going through a difficult situation at home, there are moments when you feel like you can’t cope with it anymore. Unfortunately, in real life, it can be difficult to get to the pause button and let it work its wonders until you’re ready to face the events again. But it doesn’t mean you have to fight your way through everything that life throws at you without the opportunity of finding comforting support. On the contrary, when you can’t cope, there are plenty of strategies that can help you to find your balance and strength. And all of them are natural, healthy and effective. Your body is equipped to let you know when things are getting too much. So, it’s important to understand what your body is trying to tell you before you take a decision. Indeed, as stress is a daily occurrence for most people, it can be hard to know when things are becoming too oppressive. But your body can let you know when it’s time to stop. For instance, if you’re always sick, it’s an indication that your immune system isn’t as effective as it should be. Now is the best time to rest. Similarly, excessive tiredness also points towards stress levels that your body can’t handle. Just Need to Cool Down for a Bit? What can you do when your body doesn’t show any sign of weakness, but your mind can’t process all the information at the same time? You need to help your mind to stay productive. Contrary to the common belief, a cup of coffee will keep you alert, but in the long term, it isn’t a practical solution. Caffeine creates a rush of energy that temporarily numbs your stress receptors. Instead of replacing your brew with a pack of potent marijuana edibles can address your stress levels and reduce issues in the long term. However, you need to stick to small doses to enjoy a productive effect. When every day feels like a never-ending accumulation of stress and tensions, there’s no soothing chocolate or meditation seance that can help you. On the contrary, you need to address the muscle stiffness that has developed as a result of your stressful experience. Thankfully, it’s precisely what spa weekend getaways are about. All you need to do to feel the stress disappear from your body is to book a couple of days at your local spa. Add a massage to the spa package, and you’ll be a new person at the end of the weekend! Admittedly, a quick fix is not a permanent solution. While it can help you to deal with a long project or get the courage to tackle and sort out issues, it doesn’t erase stress. If after a quick fix, you continue to struggle to address the cause of the problem, it’s fair to say that your stress levels will soon increase again. In the long term, it isn’t a healthy situation. Sometimes, the best solution when you can’t cope is to walk away. Incorporating self-care into your routine can be a big help. Check out these great self-care tips you can start doing today.